Grey Goose Vodka & St. Germain Is Hosting The “FunkJazz Kafé: Diary Of A Decade” Dallas Pre-Screening Party! Thursday, April 27th, Grey Goose Vodka & St. Germain presents the “FunkJazz Kafé: Diary Of A Decade” Dallas Pre-Screening Party at Sandaga 813 – 8pm, the day prior to the film screening at The Texas Theatre on Friday, April 28th! Award-Winning Music/Culture Documentary, “FunkJazz Kafé: Diary Of A Decade” Returns To Chicago Nov. 11th! Our last Chicago screening was a BLAST! Thus, we’re returning to unite film, music, art, fashion, history and technology lovers through this fantastic film! 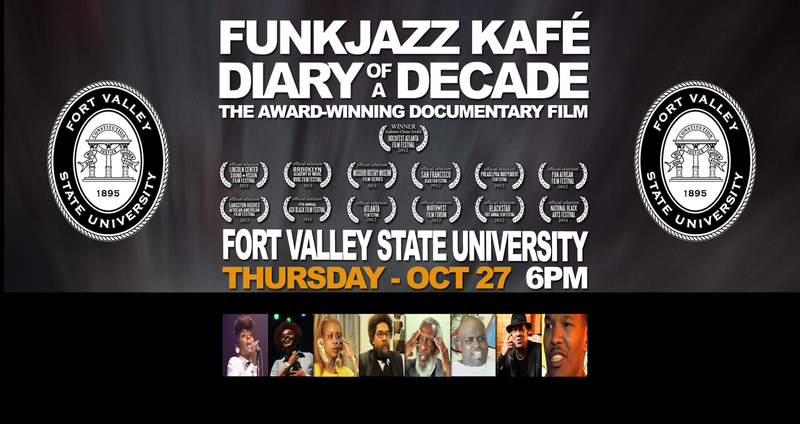 “FunkJazz Kafé: Diary Of A Decade” Screens At Fort Valley State University – Oct. 27th! 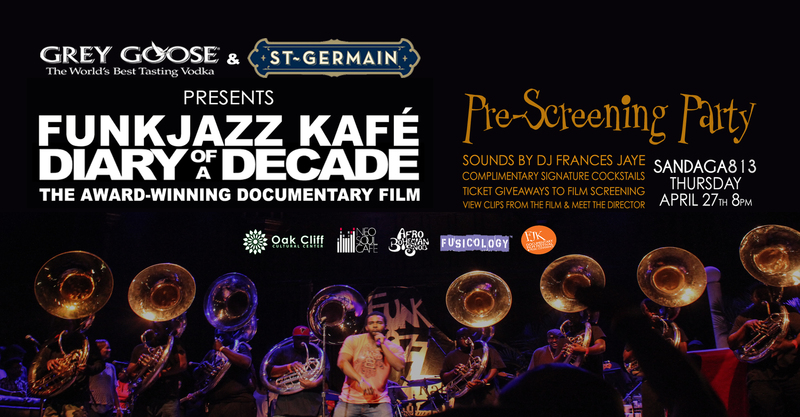 Chicago Debut Of Award Winning Music/Culture Film, “FunkJazz Kafé: Diary Of A Decade” – Sept. 20th! “FunkJazz Kafé: Diary Of A Decade” Special Panel and FREE Film Screening- May 19th!!! “FunkJazz Kafé: Diary Of A Decade (The Story Of A Movement)” will be screening in Pittsburgh! Taking place on May 10, 2014 at Kelly-Strayhorn Theater in Pittsburgh, PA at 12:00 pm – 08:00 pm. Check the Blackstar site for more details HERE. We love a good festival and it’s always an honor to be included in another cool discussion! FunkJazz Kafé: World’s Greatest Funk & Soul Festival Celebrates A Historical Weekend!! !